Tituss Burgess doesn’t often come to L.A., but when he does, he stays horizontal. “I love the poolside situation,” the New York-based actor says (that’s “love” with like, four extra o’s). It’s about the only quote of Burgess’s in this interview that could mistakenly be attributed to Titus Andromedon, the human confetti emoji he plays on Netflix’s Unbreakable Kimmy Schmidt (the final season is bingeable now). Titus-with-one-s was made for Tituss-with-two: After Burgess impressed Kimmy creator Tina Fey during a guest spot on 30 Rock, she wrote Andromedon as a broke Broadway wannabe who, along with Ellie Kemper’s Schmidt, lives in a garden apartment in Harlem. “Wannabe” was a bit of a stretch, but the rest, not so much; before his TV break, Burgess starred in Broadway productions of The Little Mermaid and Guys and Dolls and lived in a garden apartment in Harlem. Countless blink-andyou’ll-miss-them one-liners and comical musical performances later—neophytes ought to YouTube “Peeno Noir” immediately—Burgess’s turn remains as memorable as it is meme-able, earning him three Emmy noms. Here he gets real about Diana Ross and some lofty L.A. real estate goals. Most L.A. text Titus Andromedon would ever send? “Hi let’s meet for lunch around noon. Actually I cant make it—sorry to cancel.” And his reason for canceling doesn’t matter, because it’s L.A.
You once worked for Disney. Character you’d cast in Unbreakable Kimmy Schmidt? I have two of them—can I have two? Princess Giselle from Enchanted. She perfectly fits in this world. And I’d invite Sleepy from Snow White to be a part of the cast for obvious reasons. He and Titus would get along fantastically—they both like to nap. In bed. Not together. Three Broadway characters that’d be in the band on your late night show? Elphaba from Wicked, Elsa from Frozen, and Velma Kelly from Chicago. Wouldn’t that be insane? Truly. And what would your late-night show be called? Run to the Bodega, because that’s what I usually do late at night. And I’d interview all the people I meet on the way. L.A. neighborhood Titus Andromedon would live in? Not West Hollywood, because even though he is gay, he thinks he’s above the gays. He would find some way to be in Beverly Hills the same way he manages to be living for free in his apartment in New York. He’s very smart—he’d convince people it’s their fault that he’s crashing there. Angeleno you’d collab on a Kimmy Schmidt song with? Ella Fitzgerald. No, I’m lying. Diana Ross. We’d sing something about being in charge of everything. She’s the boss, and Titus is bossy. Soundtrack to the musical montage of your life? There’s no way I could narrow it down to one song. It’d probably go from “Ease on Down the Road” to “Do You Know Where You’re Going To” from Mahogany to “Up Where We Belong.” I live somewhere in those worlds. Kimmy Schmidt costar you’d never take to karaoke? Ellie. She’d think she’s good, but she’s not. So I’d be explaining to her how the machine works, what songs to pick, what the little bouncing dot means—too much work. 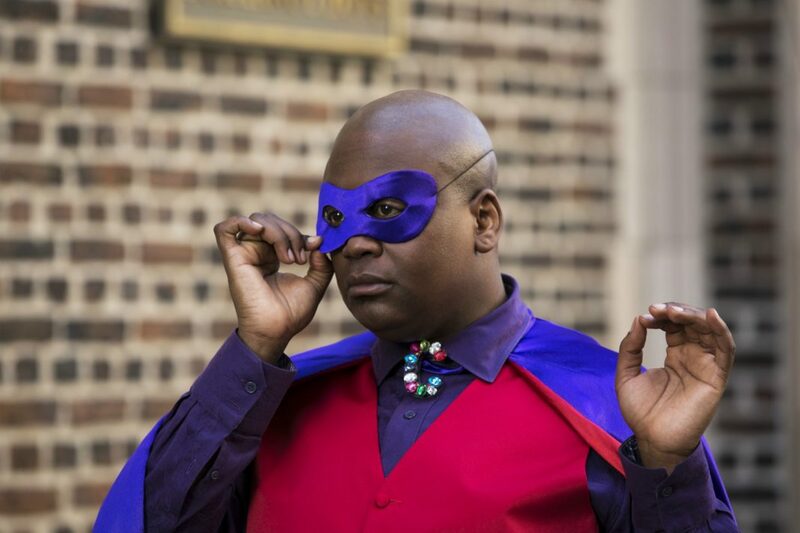 If Titus Andromedon was an actor in L.A., what would his day job be? He never works though. So to say he has a “back up job” is ambitious hope, if you will. But he’d get his Iron Man costume back and be one of those characters on Hollywood Boulevard.